We are a private club and are located only a few miles from the famous Duxford Airfield, 5 miles south of Cambridge. The flying field is on the north Essex border with Cambridgeshire. 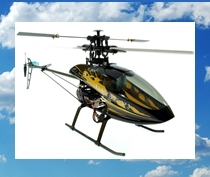 We invite all types of Radio Control Flying at the club, from small electric models, all the way up to giant petrol planes, turbines and helicopters. Please note a request for data erasure for a current member would require that member to forfeit membership. The data is required for the club to fulfill its obligations.